Welcome to day 7 of 31 days of Loving Where You Live. 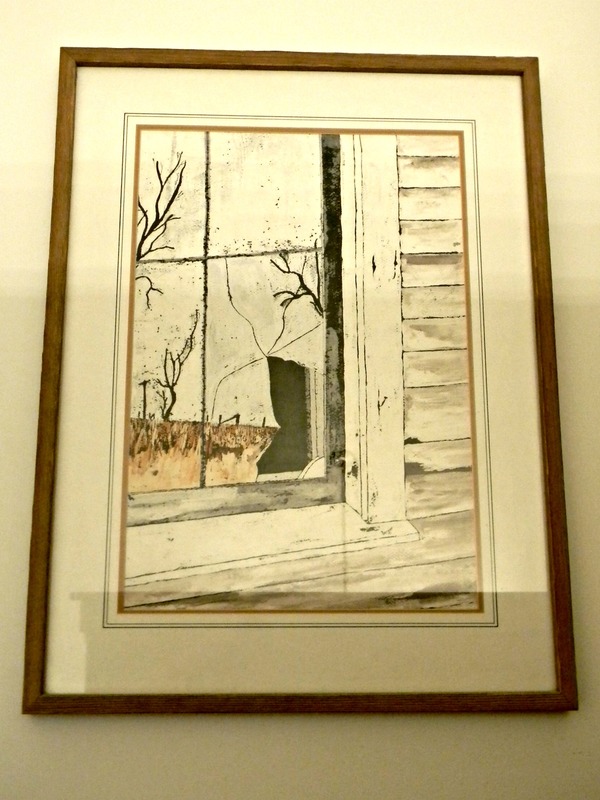 A home should reflect the people who live inside it’s walls. There should be things in it that represent the personality, history and interests of the people who live there. I think you instantly feel more comfortable with things you love surrounding you. 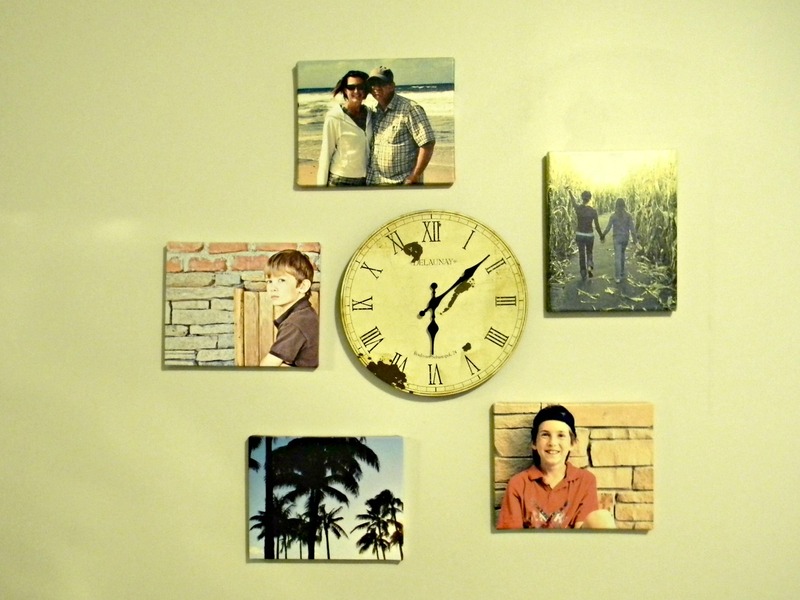 Here are a few ideas of how you can make your space more personal. 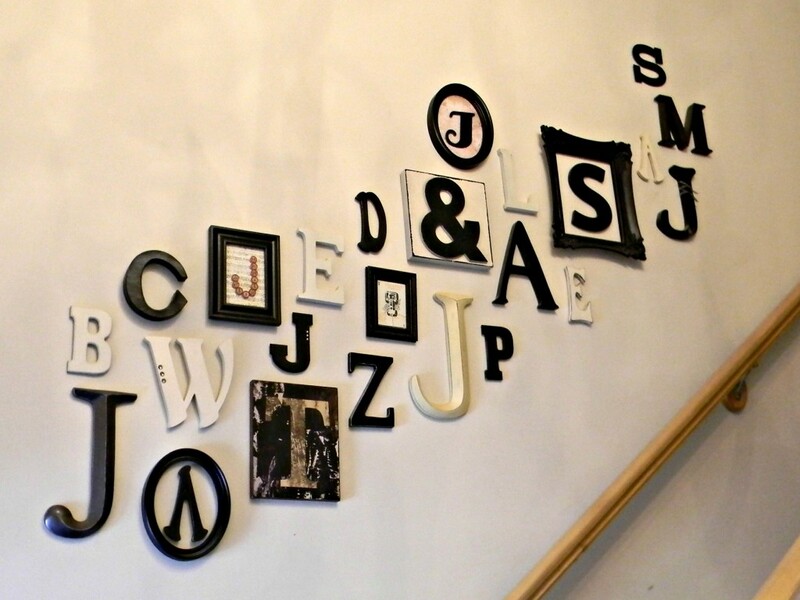 The wall going up the stairs in our home is lined with the initials of the members of our family. Every time a new member of the family is added their initial is added also. I love that the letters represent each member of my family. 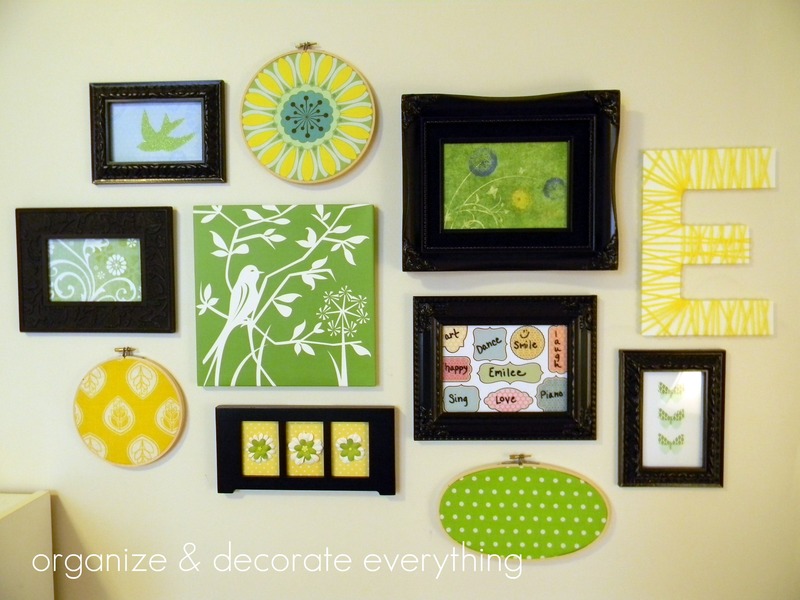 Emilee’s gallery wall represents the colors and things she loves. Use pictures in an unexpected way and don’t be afraid to show their personality. My mom gave me this picture she painted a few years ago. It’s my favorite of hers and I’m so happy to have it in my home. 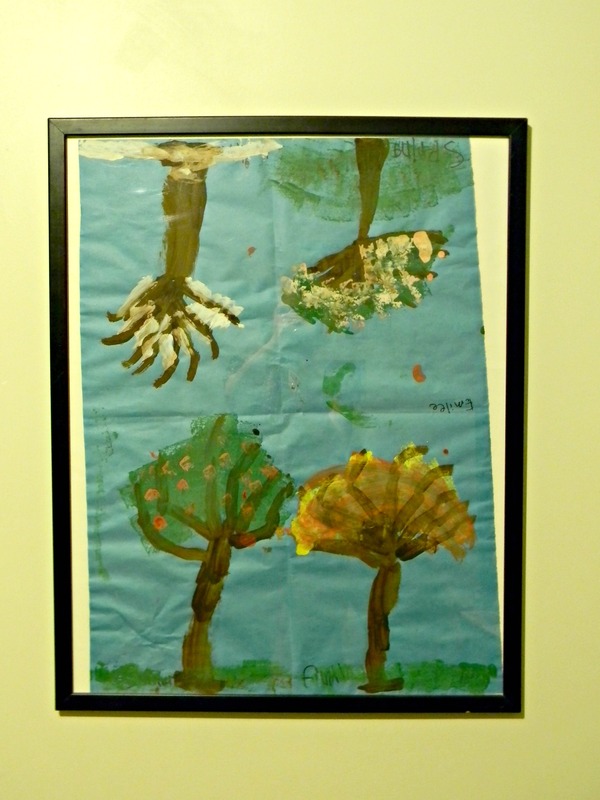 I also love displaying my kids art by framing it and rotating it every few months. What personal items will you be adding to your space?